Ready to grow your leadership skills? 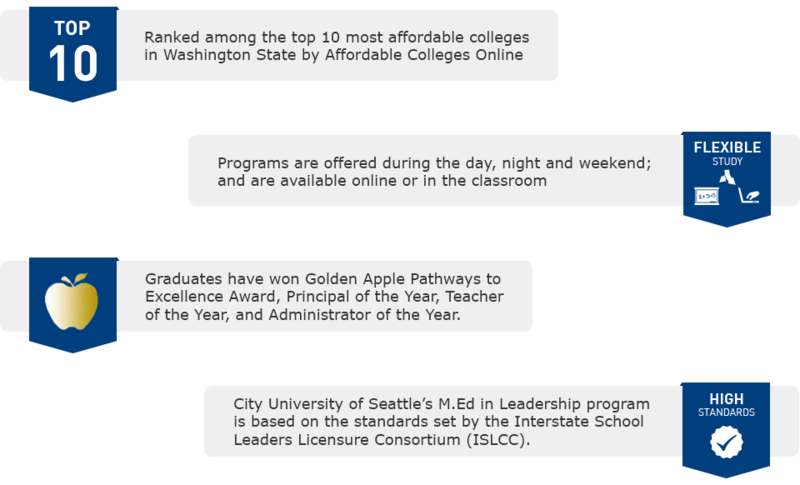 CityU of Seattle is a proud producer of award-winning principals and superintendents in Washington State and offers flexible certificates and an affordable Doctor of Education in Leadership built for busy leaders like you. • Reduce time-to-completion and tuition costs by transferring in graduate credits or by challenging courses. • Learn how to address leadership challenges and produce data-driven solutions. • Design your own doctoral degree concentration and optimize your career. Learn more about this competitively priced doctorate by going HERE or requesting for information. If you want to grow your career as a leader today, CityU specializes in helping leaders like you.